Company registers 75+ domain names to protect its T-Mobile Money name. Back in 2016 T-Mobile (NASDAQ:TMUS) killed its Mobile Money banking program for the unbanked. It now appears the company is trialing a new program with a similar name. 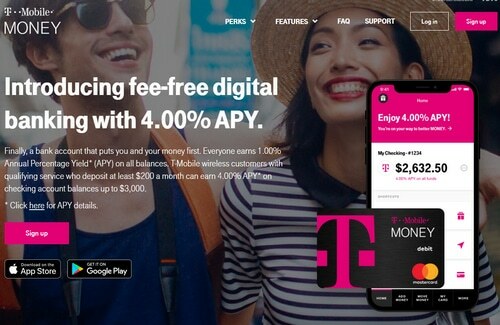 T-mobilemoney.com, a domain name T-Mobile used for the old program, now features a new program offering digital banking and a mobile wallet. That’s an extensive typosquatting prevention plan. I’m also intrigued by its choice to register .click while skipping many other new top level domains. Too bad they don’t pay that rate on any balance. Yeah, whenever you see something about 2.5% these days there’s usually an asterisk.